With Osgoode Professional Development, Ken has recorded a five-part series of “Drafting Clearer Contracts” webcasts. Each segment is an hour long. 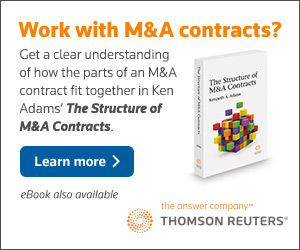 If you’re looking for an introduction to A Manual of Style for Contract Drafting and Ken’s approach to contract language, this series is a great alternative to Ken’s live seminar. The webcasts are available on demand. For more information, go here. Ken’s webcast on confidentiality agreements is now available for free on YouTube, here. To download a copy of the PowerPoint presentation, click here. Confidentiality agreements play an essential but frustrating role in the transactional world. Essential because protecting one’s trade secrets and other confidential information plays an increasingly important role in business. Frustrating because lawyers and contract-management personnel spend an inordinate amount of time drafting and reviewing confidentiality agreements and wrestling with the subtle and awkward issues they often raise. This webcast presents a practical, structured, and up-to-date overview of key topics relating to different kinds of confidentiality agreements. 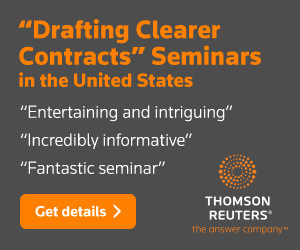 The speakers are Ken Adams, our president; Chris Lemens, general counsel of General Information Services, Inc.; and Glenn West, a partner at the law firm Weil, Gotshal & Manges LLP. This webcast had been available on West LegalEdcenter starting in 2012, but it has been removed due to West’s policy of removing materials after two years. For some background, see this blog post. Go here for more about this hour-long webinar.